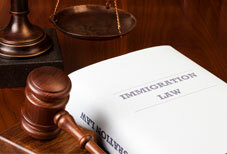 Arnold Law, LLC: Immigration Trends at the Department of Homeland Security. Immigration Trends at the Department of Homeland Security. In recent years the DHS has shifted its priorities. More than ever they are focusing on the deportation of undocumented immigrants with criminal convictions. This began with the Secure Communities program in 2008. President Obama has promised to deport “felons, not families”. People without criminal convictions should not be subject to deportation. There is one major misperception of immigrants. That opinion is that they increase the amount of crime in the communities in which they live. The latest data shows that the biggest share of deportation comes from simple immigration offenses such as entry and re-entry as well as false citizenship claims. Criminal offenses accounted for a much smaller percentage of reasons for removal. If you know someone who is facing deportation let’s get to the bottom of cause and effect. Baltimore immigration attorney Briana Arnold will sit down with you and discover what the various options may entail. The future of families is at stake here. Don’t waste another moment. Contact Attorney Arnold and arrange a meeting at her office right away by calling her at (410) 484-1400.